I can’t tell you how much willpower it’s taken for me to hold this card until Sale-abration started. It started Wednesday, just in case you didn’t know. Read here for all the details. If one panda is good, then lots of pandas is even better. 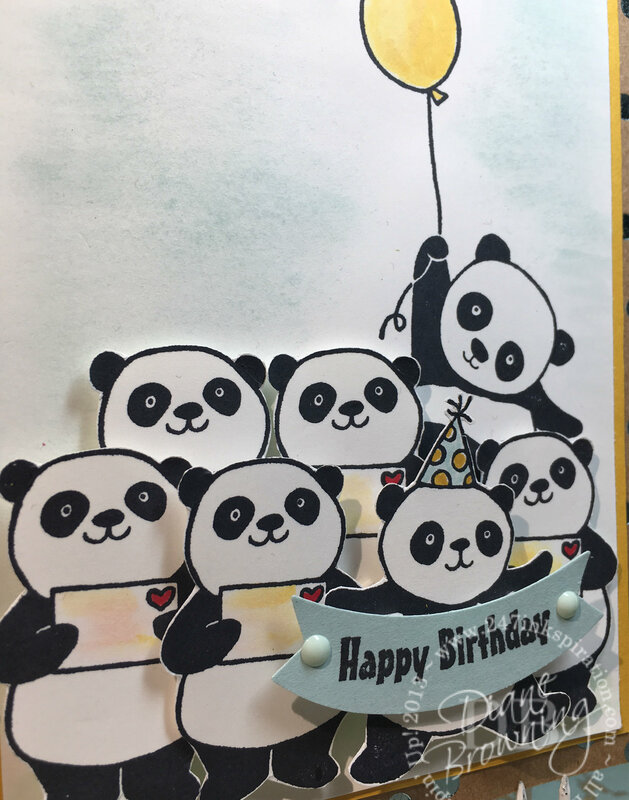 I experimented a number of times trying to get the placement of the pandas just right with stamping and masking. But I just wasn’t happy with the results. The pandas just looked flat. 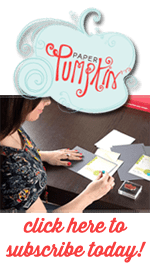 I decided I would be better off stamping them individually, cutting them out, and then layering them with dimensionals. Yes, this is so much better. I love that they are all crowding around the one panda in front to wish you a happy birthday. They all want to be a part of the big day. And the one little panda in the back with the balloon is practically taking flight with his balloon. I can guarantee you’ll be seeing more of these little guys. 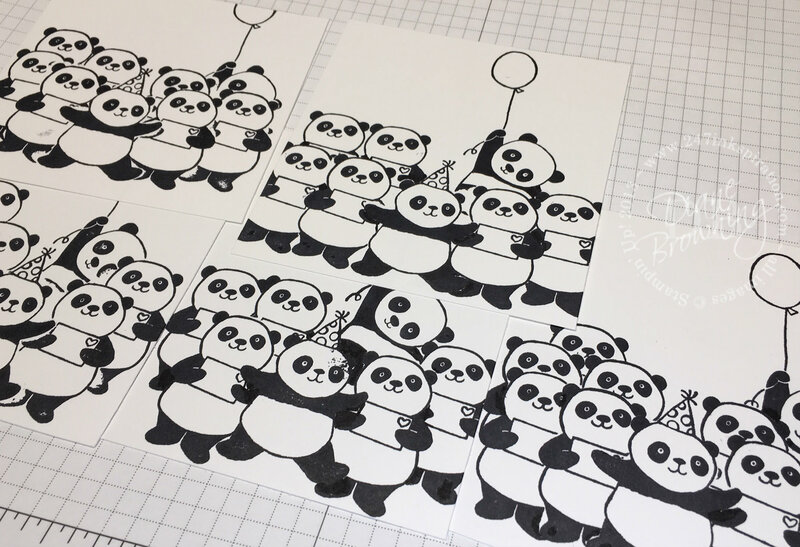 I’m betting these pandas are going to be super popular for Sale-abration. And you know what? You can get them for FREE with a $50 purchase pre-tax and shipping. Click the Order Online button on the right and it will take you right to my store.